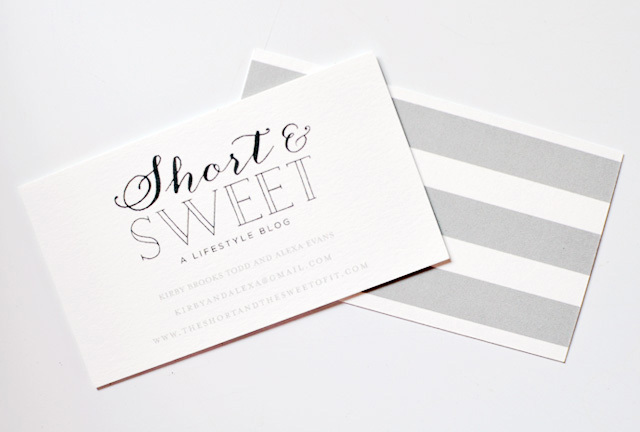 We could not be more excited about the look of our new business cards, which we ordered through the adorable stationary site, Minted. They perfectly suit our style: simple, classic and of course stripes! 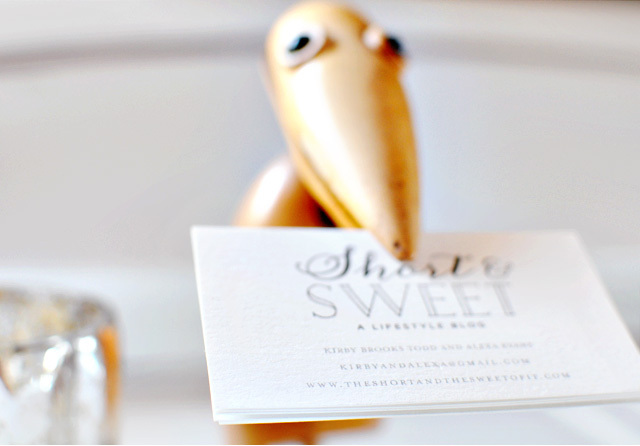 Minted has an extensive collection of different styles you can choose from, I also really like these and these. 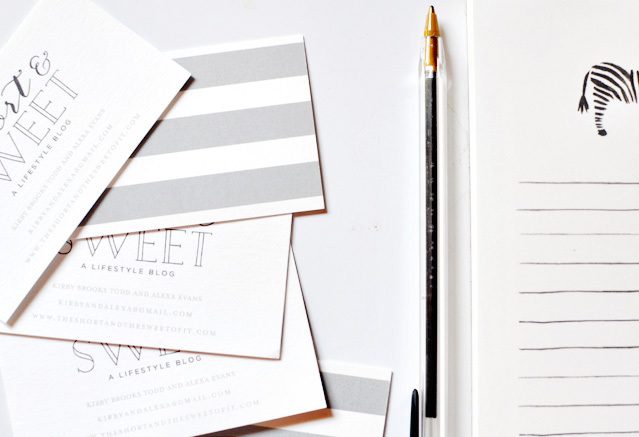 And did you know you can also find gorgeous stationary, thank you notes, journals and artwork there too? There is something so gratifying when you pull out a shiny new business card out of your wallet, we can't wait to start handing them out! Here is the template we chose and customized. I love those! I'll have to check them out. Love these! Great two-sided look! Those look amazing! I love them! I did mine through Moo, but I might need to do Mint for the next batch! Your business cards look great. I just had my business cards re-designed- now I need to get them printed! These are adorable!! Just perfect...so impressed that Minted did them too! these are really lovely! i usually go through moo because their prices are so great and i can get the little and big cards at the same time (i use the little one for hangtags). but i may have to try minted some time - they have some lovely designs! Minted can do no wrong in my eyes! Love the way they turned out! I love the detail of the back!! Such a beautiful card! I always get my Christmas cards from Minted...I remember using them way back when nobody knew about them...and everybody who got my card fell in love with them.